Home BUSINESS What are my online shopping rights? What are my online shopping rights? business based in the EU. 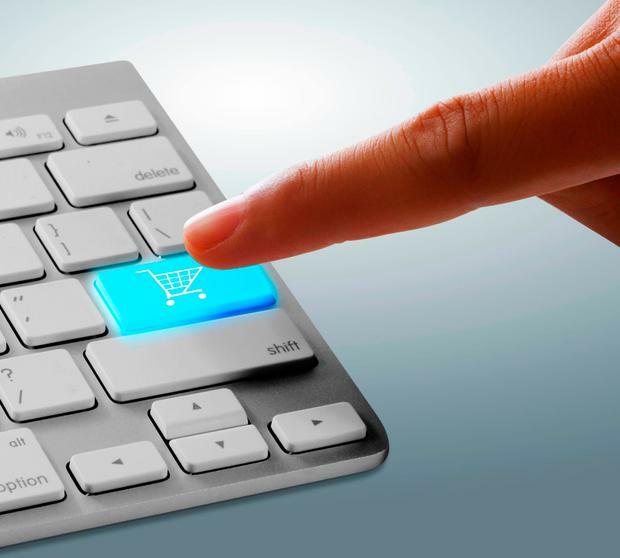 The Consumer Rights Directive gives online shoppers strong rights when they buy from a business based in the EU. When you shop online, you are buying from a distance and so, unlike in a shop where you can see the dress before you buy it, when you buy online and it arrives, it may not be what you thought, or you may not be happy with the quality or the fit. These rights allow you to examine what you have bought, see if you are happy with it, and if not, return it. These rights don’t change because something is on sale. If you ordered the dress from a website based in the EU and once it is not custom-made for you, you can return it as you have the right to cancel. This right to cancel lasts from the moment you place your order – up to 14 days after you receive it. It is different to shopping in store where the retailer doesn’t have to take an item back if you change your mind – although many do as a gesture of goodwill. When you ordered the dress, the retailer should have told you that you have a right to cancel and outlined its process for how to cancel – such as by giving you a cancellation form to fill out or an email address to cancel. If you’re unsure, check its returns process, which is usually outlined in the returns policy. Then cancel your order, reminding the business of its obligations under the Consumer Rights Directive – and ask for a full refund. If it still refuses to give you a refund after you have returned the dress, you can request a chargeback (a reversal of the transaction on your debit or credit card) from your bank or card provider. As you are cancelling because the item doesn’t fit (rather than it being damaged), you may have to pay for the cost of returning it so check the firm’s terms and conditions. If the conditions don’t state who pays for returns, the business must pay. It must also refund you any standard delivery costs you paid to have the item delivered. When you book a package holiday, you are protected under the Package Holidays and Travel Trade Act 1995. The travel agent must provide you with accurate information in its brochure and other documents given to you when you book the holiday. This information generally includes what happens if you need to cancel your holiday. As a next step, check the terms and conditions of your holiday documents for details on what happens if you cancel. As you would have agreed to these conditions when you booked the holiday, you have very limited options if the terms say deposits are non-refundable. However, if you feel the company’s actions are at odds with its terms and conditions, you can send a formal written complaint to it outlining your circumstances and its cancellation policy, and how you would like to see it resolved. If you cannot resolve your issue with the company, you could contact the Small Claims Registrar in your local District Court to check if it will accept your case in the Small Claims procedure. Another option, if you have travel insurance, is to contact your provider and see if you can make a claim. Every insurance policy has different terms and conditions so you will need to ask your provider if you are covered. Check the excess (the portion of the claim not covered by your insurance) on your policy before you make a claim. Before you contact any estate agents, look around your area to see which agents are selling homes there. Is one company more visible than others for example? Look at the current listings of these estate agents online. Look at the quality of the photos for the listing and how the houses are presented. Which ones are you drawn to? Once you draw up a shortlist of agents, arrange for them to call out to view your property. Ask them about the services they provide, their charges, and compare prices. Make sure you are comfortable with the agent you pick as he or she will be your contact point through the entire journey of selling your home. Also ask the agent for tips on staging your house to make it look its best for potential viewers. Ask about where your home will be advertised. Can the agent tell you what buyers in the area are looking for – based on their previous experience? Estate agents’ fees can typically range from between 1pc and 2pc of the selling price. So if the selling price is €250,000, fees could be between €2,500 and €5,000. Therefore compare what different estate agents charge and make sure you negotiate before you hire one. Other things to ask about are any extra charges. Some will include the cost of photography and website listings in their fee, whereas others will charge extra for printed brochures and even for the ‘For Sale’ sign. Finally, agree how you want to be kept updated, when you want viewings to happen, and how you want to get feedback afterwards. When your mum signed up to the free trial, she may have agreed to terms and conditions which allowed the company to take money from her card once the free trial ended. If she agreed to these terms and conditions (which you normally have to do to get the free trial), even without realising it, she also agreed to the company deducting money from her card. Online subscriptions are usually set up as a recurring charge on a debit or credit card as opposed to a direct debit. In general you cannot cancel a recurring charge with your bank (as you can with a direct debit). So, you have to contact the company you have the recurring charge with to cancel it. You should do this in a way that gives you proof that you asked them to cancel your subscription – such as, by email. If your mum can’t get in touch with the company to cancel the subscription, she may need to contact her bank and look for a chargeback on her account for any subscriptions taken after she tried to cancel the payment. She will also need to give them the evidence showing she attempted to contact the company to cancel the subscription – for example, send them a copy of emails she has sent to the company. If all else fails, her last resort may be to cancel her card and apply for a new one. Email your questions to [email protected] or write to ‘Your Questions, Sunday Independent Business, 27-32 Talbot Street, Dublin 1’.